Puig Tomir was the most strenuous of our walks, and not helped by the fact that at one point we got lost and had to retrace our steps, only to continue off the proper track and up a Coll we hadn’t intended to climb. 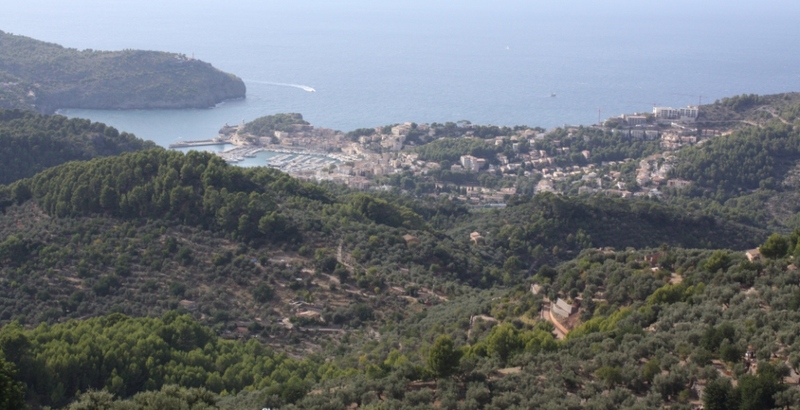 The starting point was the access road off the MA-10 at km 17.4 and from there we walked up to the Binifaldo bottling plant at the Coll des Pedregaret. 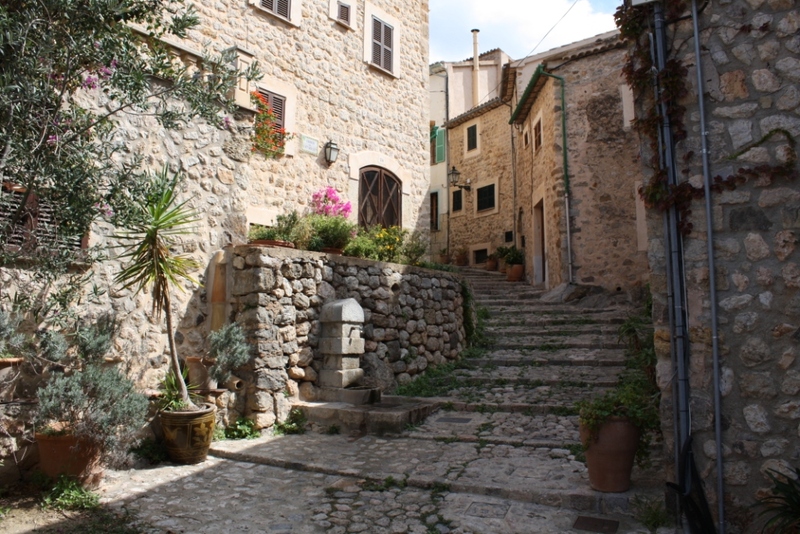 We were following the route (31) as described in Walk! 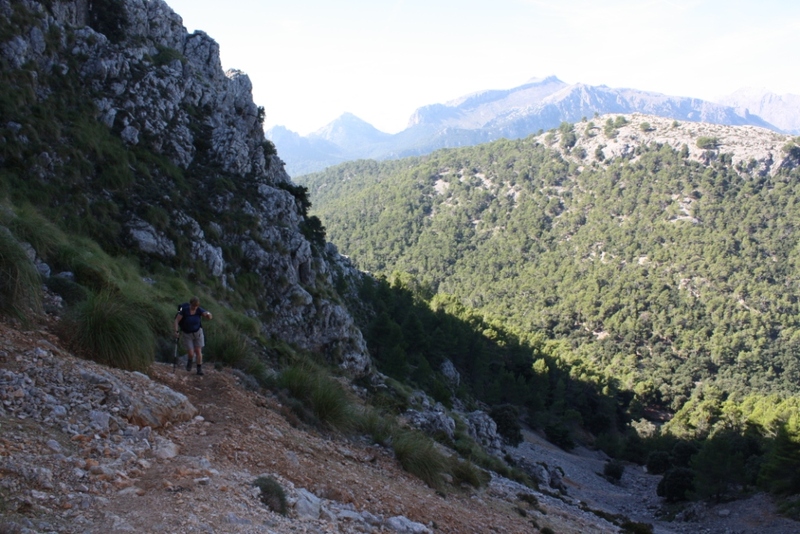 Mallorca North and Mountains by Charles Davis and so took the path just to the right of the bottling plant through some woods and eventually across some scree slopes. 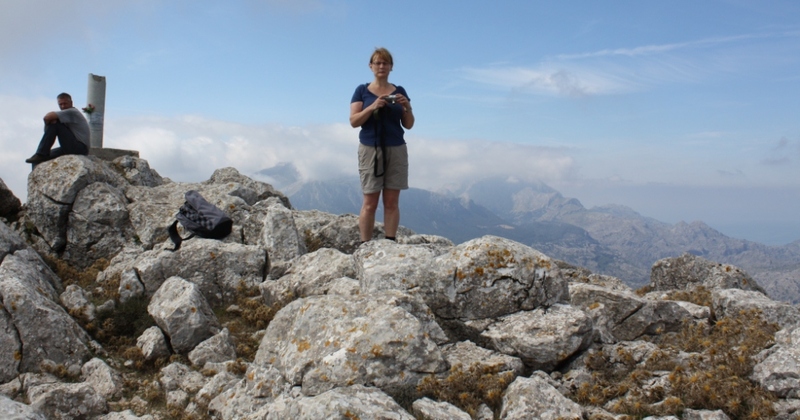 It was quite busy at the top, at 1103 metres, with a party of four Germans, one Brit, and a couple of Spanish walkers. Just down from the top is the Casa Neu (snow house). 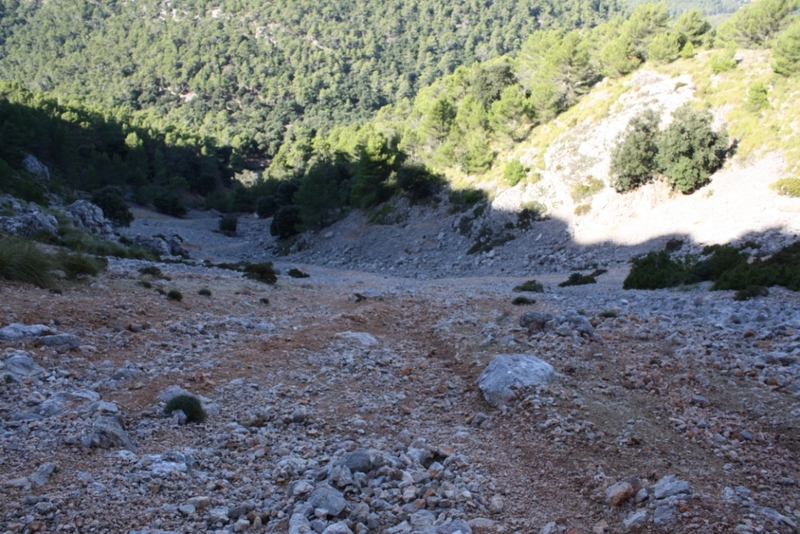 From the top you can either retrace your steps, or do what we did which was to descend to the Coll del Puig de Ca, with the intention of walking round the mountain and back to the Binifaldo bottling plant. 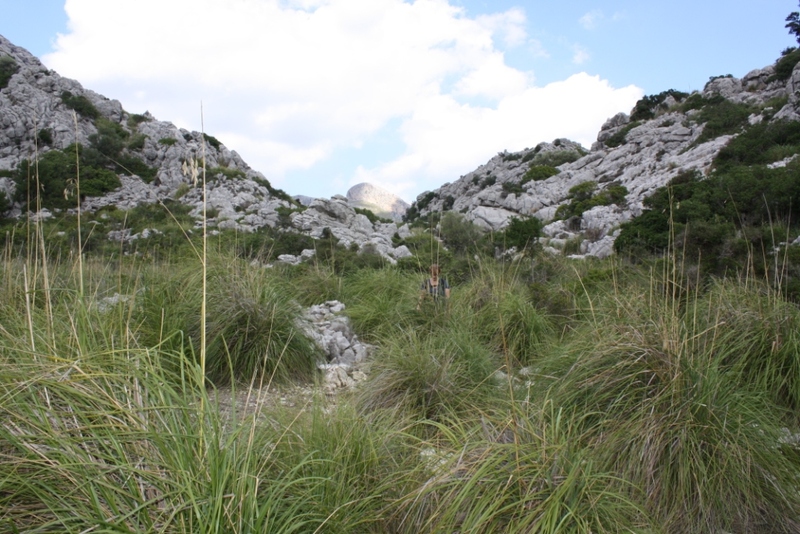 Our route was quite rough walking, firstly on sharp rock, and then through tall grass, rock and bushes. There are small cairns to guide you, but it takes ages to walk through this stuff. 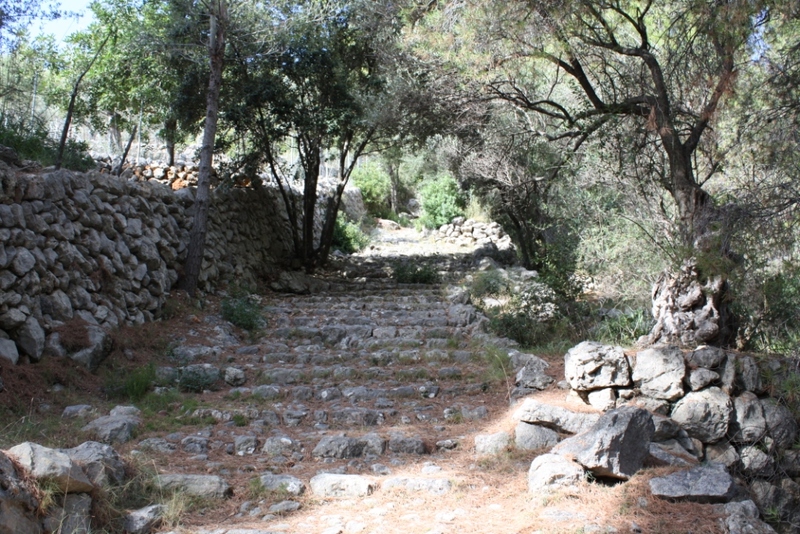 Somewhere near the Aucanella farmhouse we took the wrong trail and instead of heading through the Serra d’en Massot we walked up the Coll Pelat, which added several kilometres to the route, especially as we retraced our steps at one point but couldn’t locate the proper track. 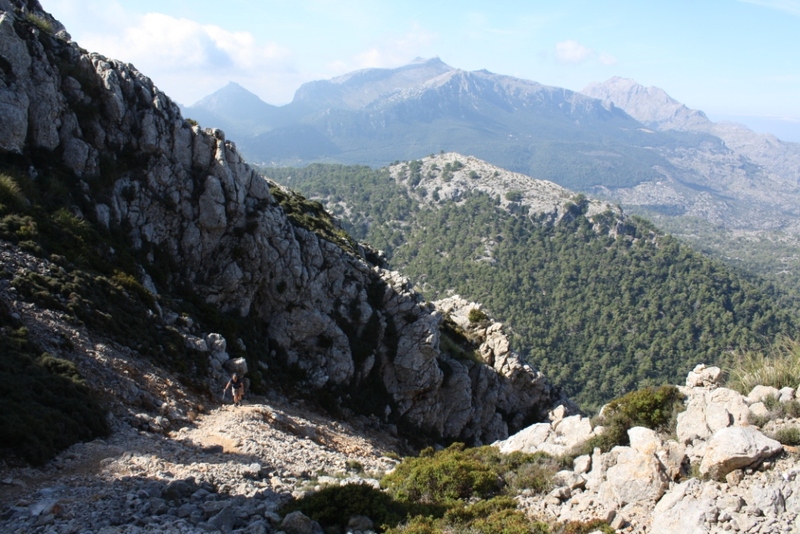 I’m surprised that the circular route up Puig Tomir is not bettter marked. Total distance of our walk was about 17 km, on a very warm day. 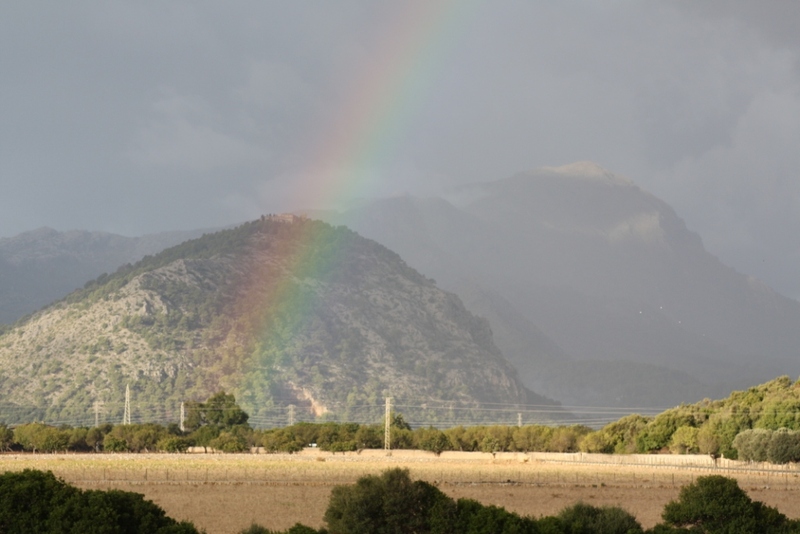 Shown in the photo below is a rainbow intersecting the sanctuary on the top of Puig de Maria, and in the background to the right, Puig Tomir, taken from Puerto Pollença. I have an infallible sense of direction, and I knew we were on the wrong path, but couldn’t find the right one. The last comment is rather profound. Hello! This is 2015 and maybe late for a comment! I and my wife (now we are 68) have walked round Tomir 3 times, but never the right way!! Always Coll Pelat on the way back. Long and trying! Maybe we´ll try a fourth time? Now Google Earth may be a help..? If you want to comment to us, please mail, I am not sure I will find this site another time. We are Swedish by the way. Thanks for your comment, Kjell and Margit. So, it seems that I am not the only person to take the wrong path!